FLOW is a business specializing in the delivery of temporary or semi-permanent air conditioning and power related services. 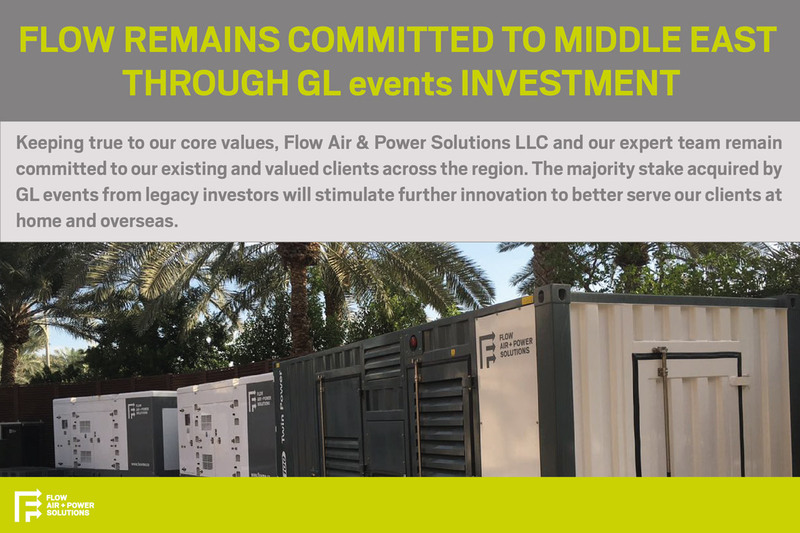 At FLOW our ethos focuses on utilizing the latest technologies, delivery methods and products to simplify, standardize and optimize the delivery of air conditioning and power distribution. Flow has built an extensive range of rental cooling products, from split units, to large industrial sized air handlers. Our fleet of power generators, alongside our event style distribution boards and advanced power cables, offer a truly progressive power solution. Want to find about temporary cooling and power services? Interested in joining our skilled team?